PHISHING THE BIG WATERS - The Rough Notes Company Inc. Thanks to technology (see what I did there), I was able to attend this year’s National Association of Mutual Insurance Companies convention virtually via their Connect Differently option. A session on cyber security was an eye-opener for me, diving into the details of how hackers operate. Delivered by Joe Cicero, an IT security instructor at Northeast Wisconsin Technical College, the session titled “Spear Phishing for Whales: Targeted Attacks on Corporate Executives” compared the components needed for phishing—we’ll get to definitions in a bit—to those used in the sport of fishing. Spam—junk mail; it’s not an attack. Phishing—an attack, typically anattempt to extract information—usernames or passwords—to gainaccess to an account or organization. Spear phishing—a more personal form of phishing (e.g., a fake message from American Express when you have an American Express card). Whaling—attacking high-value targets, like C-level executives or system administrators. Doxing—Publishing stolen information—whether emails, data or credit card info—on the Internet. Cyber attacks are always occurring; earlier this year 143 million U.S. consumers were affected by the Equifax breach. What exactly caused some of the more infamous data breaches in recent history? A simple human error led to the 2016 breach involving John Podesta and the Democratic National Committee. What do these attacks mean for your organization? According to PhishMe’s 2016 Enterprise Phishing Susceptibility and Resiliency Report, phishing is the number one delivery vehicle of malware. The State of the Phish, released by Wombat Security Technologies in January 2016, states that 85% of organizations have been attacked, by either phishing or spear phishing. And in its white paper Spear Phishing Attacks—Why They are Successful and How to Stop Them, FireEye says that the open rate of a spear phishing email is 70%. Fifty percent of the 70% will proceed to click on the link. “When you go fishing, you have to go to the right location, at the right time, use the right equipment, and have the right bait,” Cicero says. Time—Phishing attacks tend to increase around holidays, news events, elections, and disasters. “I had two colleagues recently receive SMiShing attacks, an SMS message from Chase—they both had Chase accounts—and it all went back to the Equifax hack,” explains Cicero. “When that Chase message arrived they were in the right frame of mind; it was the right time to hit them. Location—Places with large numbers of people are good targets: conferences, hotels, sporting events. From automatically doing background searches and slipping applications through systems’ back doors to testing whether antivirus systems will discover malware, platforms like Kali Linux, Maltego CE, Social Engineer Toolkit and Shellter assist spear phishers by simplifying the tasks at hand. 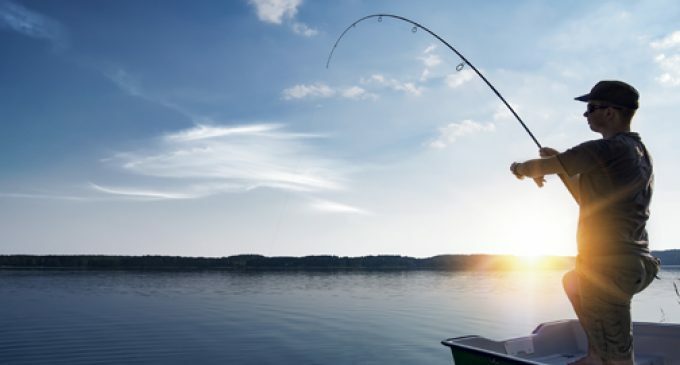 Bait—A Cisco Security report shows that typical phishing bait includes in the subject line phrases like purchase order, payment, receipt, product order or invoice. “Take an extra ten seconds every time one of these emails comes in and make sure it’s really what it is, rather than hurrying through it,” Cicero says. When it comes to the more specific spear phishing, where are the attackers gaining their information? Cicero gave an example of how he found a C-level executive’s name on LinkedIn, searched that name on a different site to get a home address, and then looked up the address on Google Street View. Social media is another location to learn about attack vectors for potential victims. Other attack vectors are marital status, health concerns, vacations, connections, and social causes. “The chance of your opening the email is much higher if it comes from something you’re familiar with,” Cicero says. Another good source to discover aggravators is public record sites like Black Book Online, Itelius, PeekYou, Pipl, Spokeo, and Snitch.name. Other public records attractive to spear phishers are property taxes and payments and public and criminal records. Neighbor and relative searches also can be beneficial. License searches also can be used for spear phishing bait. Overlooked bait is the use of video and photographs. Additional attack vectors are dates and times, host operating systems, and hobbies. Locations also can be retrieved from the data stored in photographs. “Who has seen somebody take a picture of their meal on Facebook?” asks Cicero. “If I extract the latitude and longitude of that picture, I now know where you ate it. If I know where you ate it, I could design an email from that restaurant saying, ‘Hey, thank you for publishing a picture of your meal on the Internet. We’d like to give you this free coupon; click here to download.’ What are the odds it’ll be opened? Probably 70%. It appears inevitable that an attack attempt of some kind is going to happen, but what can you do to prepare for one? Keep your employees informed; remind them of the keywords frequently found in subject lines. Recognize when emails are actual phishing attacks and make sure to report them. Another simple thing your employees can do is to slow down. “Make sure they are actually looking at the emails going to them; sometimes we just click too fast,” Cicero says. As for your IT department, it can “block countries that your employees don’t need to be connected to,” says Cicero. “You can research which countries are used the most for phishing attacks, and you can block those entire countries. Unfortunately a lot of phishing attacks come from dot-com addresses, so there are a lot of domains you will be unable to block. The mobile version of phishing, a SMiShing attack attempts to reach its target by SMS or text, as opposed to email. Similar to an email attack, a SMiShing attack relies on the victim to comply with instructions given in the message, usually requesting to open a link infected with malware. Passwords, accounts, and client information—like in a phishing attack—are the typical credentials sought by “SMiShers.” While most individuals are aware of attacks that can come through their email inbox, the concept of receiving one via text is still catching on. What can be done upon receiving a SMiShing attack? Any questionable message requesting you to open a link or risk facing a recurring fee should be brought to the attention of your IT department. Next the SMiShing target should message the sender to verify the legitimacy of the request. This should be done by means other than text—phone call, email, etc. Be aware of messages using “5000” numbers, indicating that it originated as an email sent as a text. Hackers have been known to use this tactic. A downloadable application in a text is another red flag, as it’s another common method to infect mobile devices with malware. A good rule of thumb is to download and use apps only from your mobile device’s official marketplace, which will be less likely to be malware in disguise. For added security, augment the practices above with the use of a virtual private network (VPN) to safeguard your mobile activities.Your phone’s a target, too; be on the lookout.